How to show your home! Boom! Your house has been listed and it is now being actively marketed. Your realtor has the “for sale” sign up and the phone is starting to ring. Panic mode and being on the edge of your seat syndrome may have sunk in. These are natural tendencies that many sellers have, its okay! It's all up to your realtor now! However, there are a few things you can do to ensure that your home is “show ready’ and put yourself and the listing in the most sellable position to ensure a strong showing. Your realtor calls you to book a showing for prospective buyers…now what? Leave on your lights! Especially in winter, not only is it a tripping hazard to walk up to a home to enter but also once you’re inside it can become a hazard depending on where those basement stairs are located. I am all for saving money and not recklessly using power at your home, but for the hour time block for a showing, it creates a way better impression and makes it a safer welcome for prospective buyers to see your home. Air out your home! Everyone loves fresh air, so why not give it to them? In the summer, open up your windows prior to the showing to let in some fresh air. In the winter, turn on the circulating fan in your home. Believe it or not, a scent in your home can be a big determining factor if the showing is going to go well or not. Whether you have just recently fried some fish in a pan or are airing your hockey bag out after a hard practice, please ensure those scents are not around for showing time! The same thing applies for “masking” scents and/or odours with strong scented perfumes! As soon as prospective buyers sense that the seller is masking something in the air, it raises red flags and the showing doesn’t go well overall. Be prepared for your showing! Clean up, tidy up, and dress up! There is nothing worse than showing a home and there are personal things all over the place. It makes it super hard for the prospective buyer to visualize themselves in the home and it doesn’t give them the “buy me factor” that sellers need to have, especially in the market right now. When a home shows well, it is memorable to the buyer and if they choose to write an offer on this well prepared home, then your offers have a better chance at being higher initially. It is worth taking the time to clean up, tidy up, and dress up!!! These are just a few tips for having your home “show ready”. 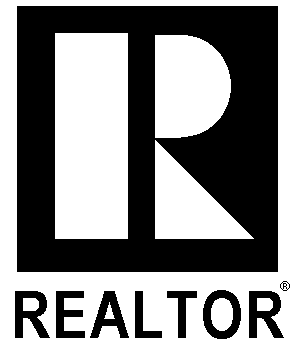 For a full list, feel free to reach out and email me at [email protected] or join us at one of our future “Home Selling 101” events in the near future. Be sure to follow our series “Long Horn Diaries” for upcoming topics in the real estate world.